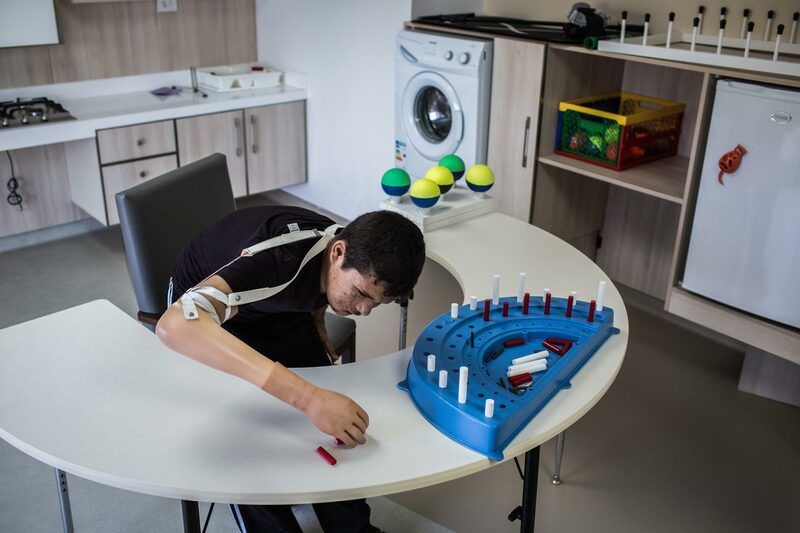 Nawaf learns to use a prosthetic arm during his rehabilitation in Al Rahma Hospital, in Tripoli. Eleven months ago Nawaf was sitting in his room in Reef Hama when a bomb hit the house, severely burning the right side of his body. Nawaf’s uncle rushed him to the nearby field hospital where his right arm was amputated above the elbow.